Back in 1992, Europe’s age-old maritime landscape changed forever. The Main‑Danube Canal opened, allowing modern-day vessels to sail between the North and Black Seas, and at once opening up all of Europe. With 16 locks lifting river ships 425 metres above sea level and across Europe’s Continental Divide, a new concept in European travel was literally on the up-and‑up. Grand Europe river cruising itineraries like Amsterdam to Budapest were born, and travellers began experiencing life along the riverbanks, deep in Europe’s heartland. The same year that the engineering marvel opened, Tauck launched its Europe river cruising program. In 2004, Avalon Waterways was established and the Uniworld Boutique River Cruise Collection, as we know it today, also commenced its program. Closer to home, Australian companies APT and Scenic had been developing their own forays into the category, chartering river ships from 2001 and 2004 respectively. Over the past decade alone, these operators have since entered new rivers and introduced impressive ship and product innovations, continuously redefining how travellers can experience the continent. The following offers just a snapshot of such forward thinking. APT builds and launches its first luxury river cruise ship in conjunction with US partner, AmaWaterways. The AmaDagio is fully chartered for guests from Australia and New Zealand. Scenic builds the first 135-metre ship – the dawn of the Space-Ship – which allows for cabin‑length balconies, while also creating space in the lounge area and room for a second restaurant. 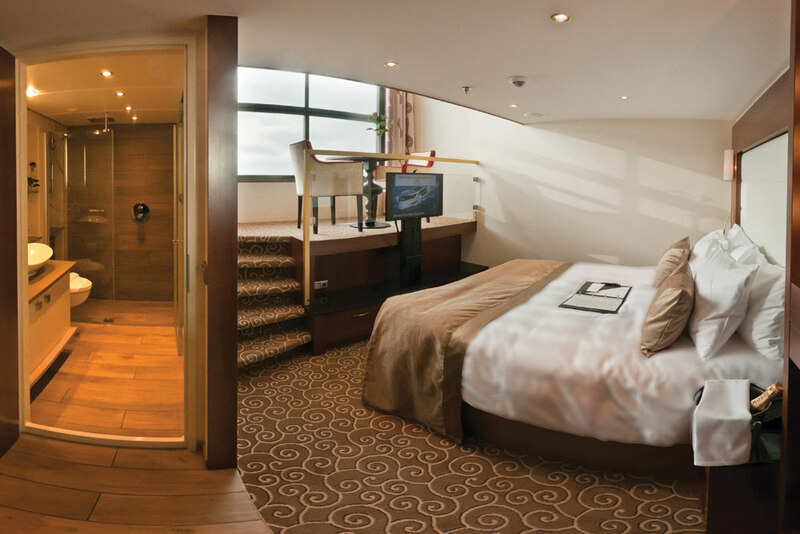 A revolution in design, Twin Balcony Suites represent the majority of accommodation on APT's Concerto river ships. Image courtesy of APT. APT’s first Concerto Class ship, AmaBella introduces Chef’s Table Dining and exclusive Twin Balcony Suites – boasting a glassed in conservatory-style area plus an external balcony. Avalon dares to be different with its first Suite Ship, Avalon Panorama, boasting 30 per cent larger suites than the standard, and beds orientated to the wall-to-wall, open air balconies for views. Avalon's revolutionary Panorama Suites are 30% larger than the industry standard and feature wall-to-wall, floor-to-ceiling windows. Image courtesy of Avalon Waterways. Scenic introduces the Sun Lounge concept with Scenic Crystal – allowing guests to enjoy private balconies in all weather. Glass glides at the touch of a button, converting the balcony into a lounge. Tauck introduces dedicated family river cruise itineraries. Filled with fun, adventure and surprises on board and shore-side, Tauck Bridges cruises allow the Old World to be seen through new eyes. 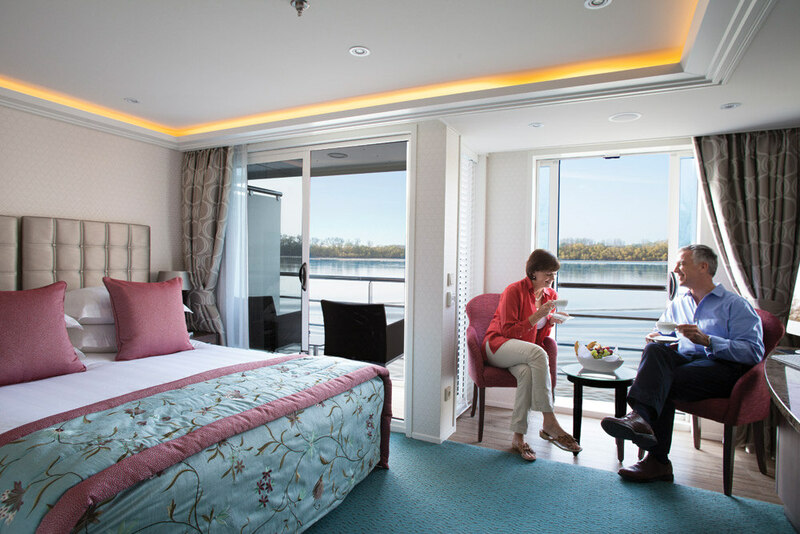 Tauck launches MS Inspire and MS Savor, Inspiration Class river ships with lofted cabins which, at 135-metres long, carry just 130 passengers compared to 150 or more on similar-sized river ships. Tauck's Loft Cabins borrow space from the level above, allowing for an elevated sitting area with a full-width electrically retractable window. Image courtesy of Tauck. Uniworld is the first major river cruise operator to offer a program in the Bordeaux region – only a year after becoming the only major operator on Italy’s Po River and Venice Lagoon. of Namur, dating back to Celtic times. Uniworld was the first major river cruise operator on Italy’s Po River and Venice Lagoon in 2014. 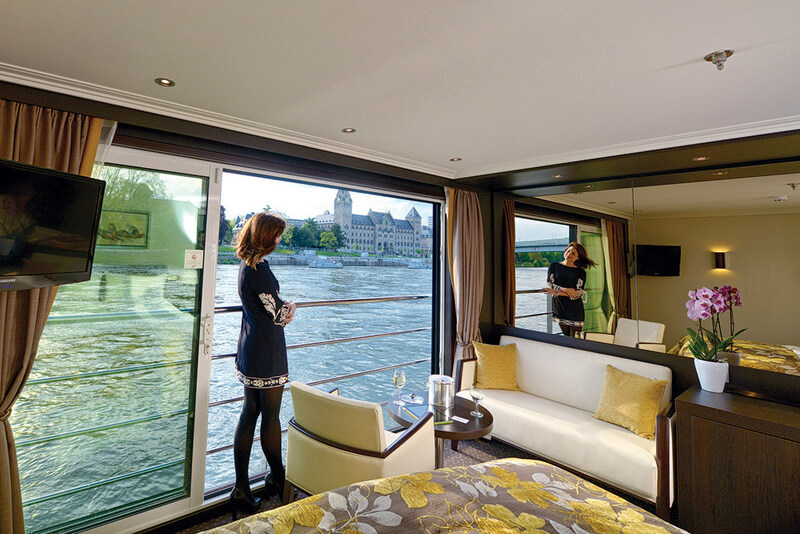 Image courtesy of Uniworld Boutique River Cruise Collection.